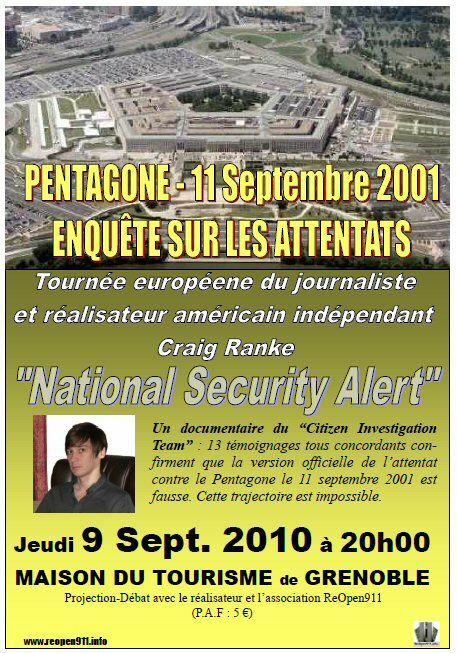 Note for French readers: Une version française de cette page a été publiée par nos amis du blog "enquêtes et faits divers". Cliquez ici pour la consulter. 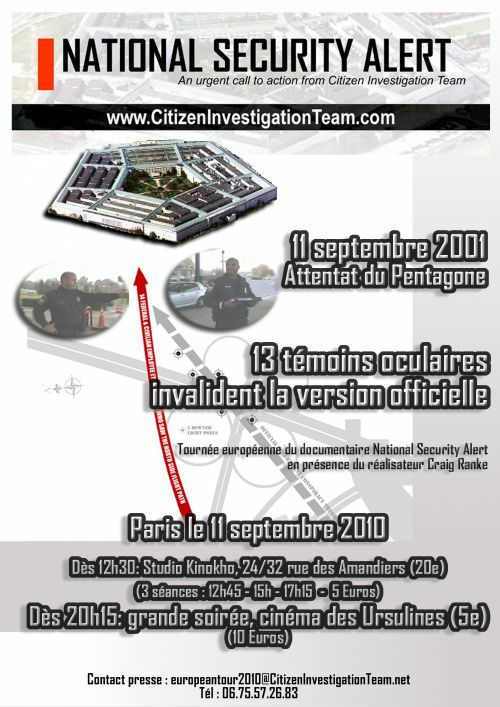 This year for the 9th anniversary of the 9/11 attacks, Craig Ranke, co-founder of Citizen Investigation Team (CIT), will be screening their presentation National Security Alert throughout France and other locations in Europe. 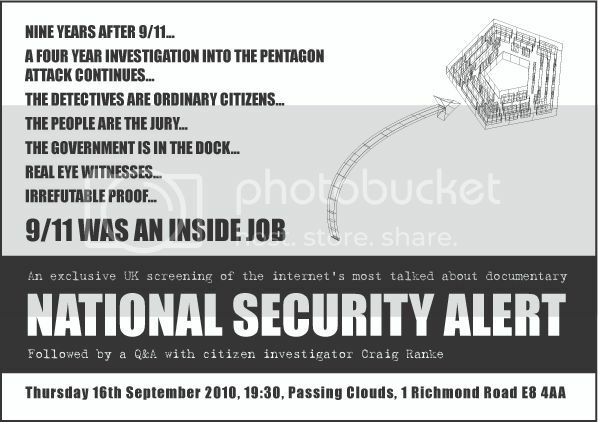 The purpose of the tour is to raise awareness regarding the critical eyewitness evidence CIT has gathered and presented during the course of their on-going investigation into the Pentagon attack. 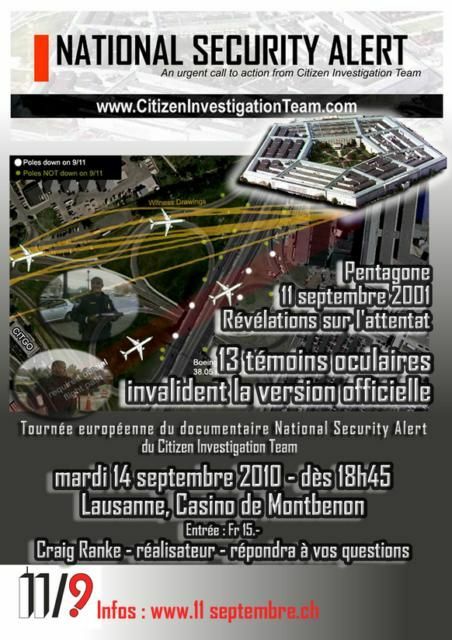 As seen in National Security Alert, the plane has been conclusively shown via detailed video and audio-recorded interviews with eyewitnesses to the event to have been on a flight path that is irreconcilable with official reports, official data, and the physical damage, making it physically impossible for it to have struck the downed light poles or to have caused the anomalous directional damage to the building itself. 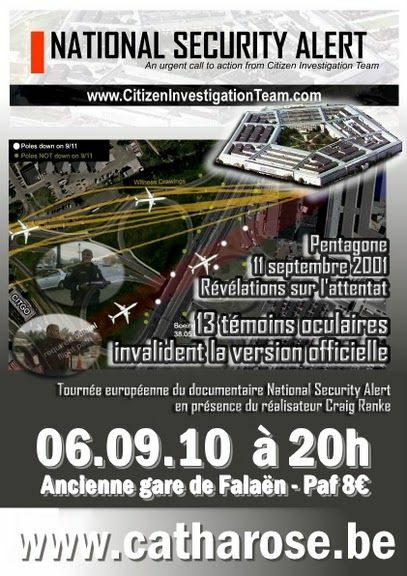 The main event on Saturday, September 11th will be held in downtown Paris, with screenings scheduled throughout the day. 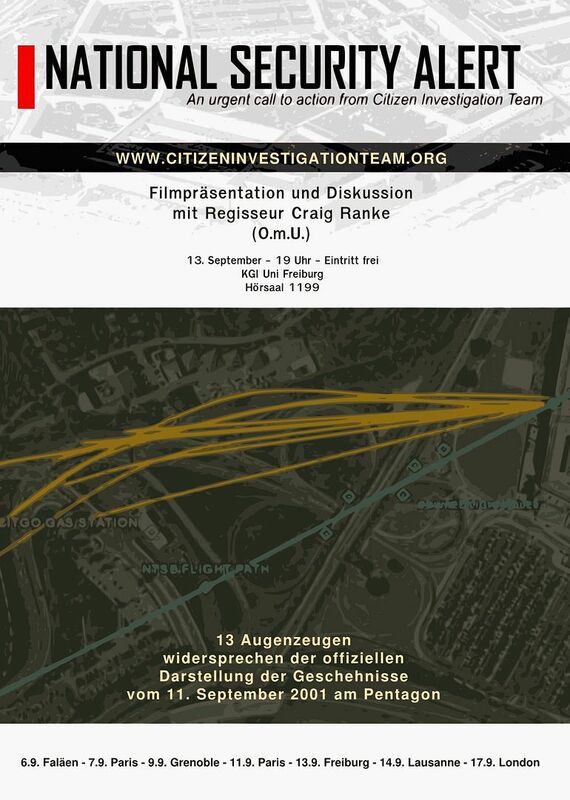 In the evening a "prime time" screening will take place, which will include a question and answer session with Craig Ranke. The following dates have been confirmed.